NeoGeoForLife.com - Kazuya's Neo Geo Reviews - Discussion Forum: What Are The Greatest Isometric Games? There are 17 posts in this thread, and it has been viewed 5635 times. 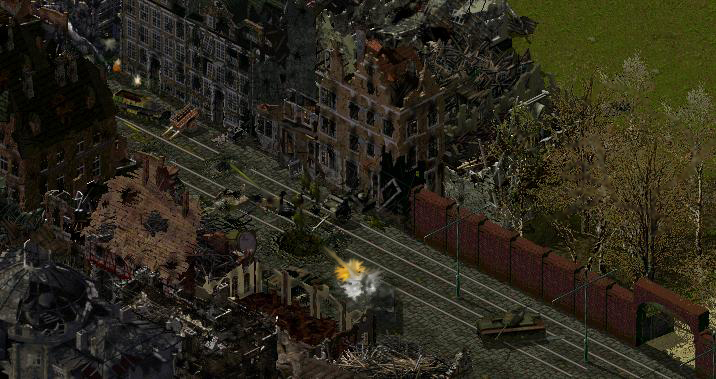 What Are The Greatest Isometric Games? What Are The Best Isometric Games? 1. Viewpoint (Neo Geo) - Not being biased at all here but this really is my favourite. A big achievement to make a great schmup let alone one with an isometric viewpoint but SNK pulled it off. Great music too! 2. 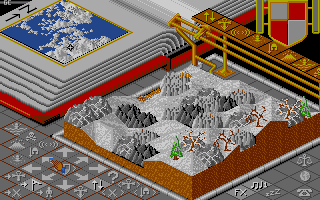 Populous (Amiga) this was amazing at the time with a lot of depth and it's still a great game. Almost got a Neo Geo conversion which is strange considering it's not really an arcade game. 3. 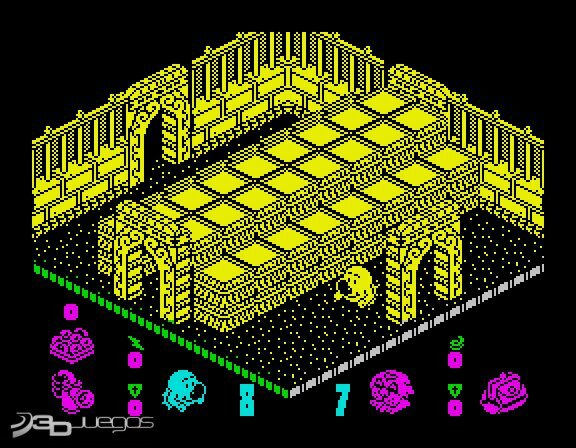 Head Over Heels (Spectrum). You start off playing seperately as Head (Can jump high and shoot) and Heels (Can run fast). When you manage to get Head and Heels together they combine their abilities. 4. Marble Madness (Arcade, Amiga) Very charming unique game. Great in 2 player mode too. 5. 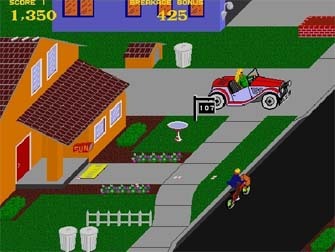 Paper boy (Arcade) Great fun to trash non-subscriber's houses! Viewpoint is excellent RiKo I agree. 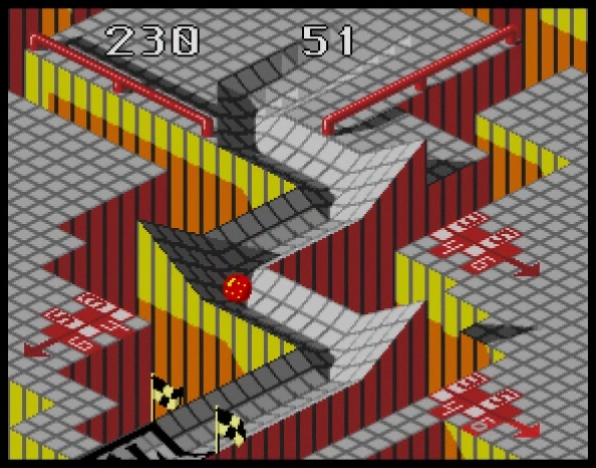 I used to play the NES version of Marble Madness a lot and enjoyed that. The isometric game which impresses me the most though is definitely Solstice on NES. Absolutely love that game and put a lot of hours into it. Really like the music too. Quite a tough game and can be frustrating but very satisfying when you start to figure things out and make progress. I've still never played the SNES sequel Equinox. Landstalker for the Megadrive is awesome. 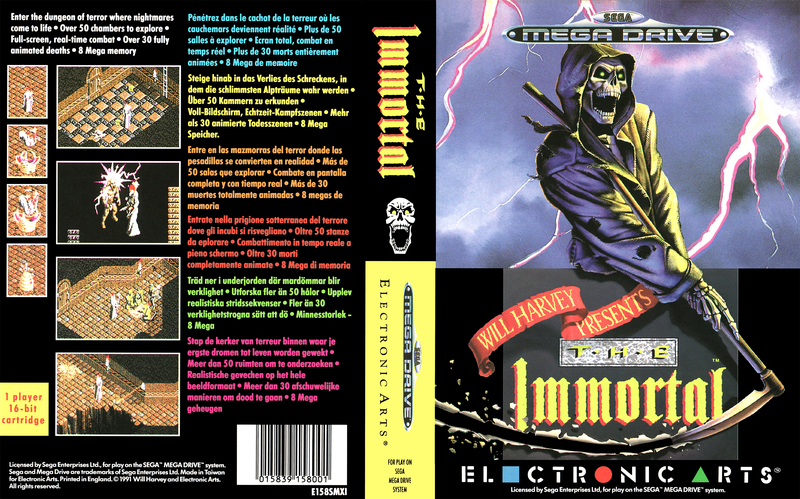 Not quite that good, but I think The Immortal for the Megadrive is still a lot of fun. Only slightly better than Red Alert 2. My very first and probably most influential RTS I've ever played. Still stands out as one of the series' best. Outdated graphics for its time, but great story and live action cutscens, a rad soundtrack, crazy units and a unique post-apocalyptic atmosphere. Absolute Gold. Since the unbelievable hype about Fallout 3, New Vegas and soon the fourth, pretty much everyone has at least heard of the series. 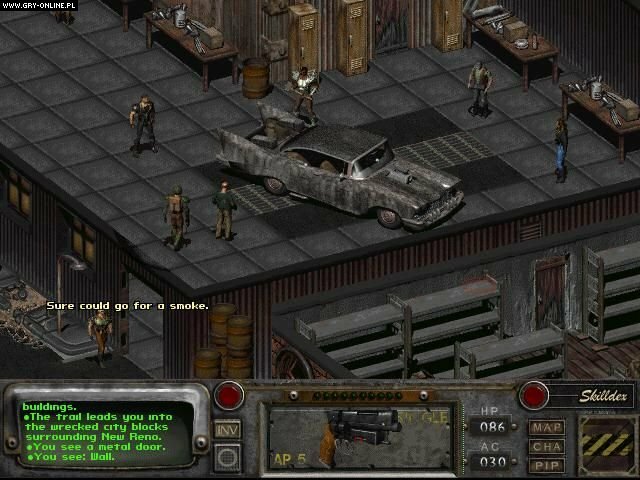 But Fallout 2 still gets the cookie. Challenging gameplay, great story, a immersive stats system and pure cult. Not such a good combat system as in Jagged Alliance 2 though. I am going out of a limb here and saying Rugby World Cup 1995 best Isometric game. Merlin wrote:- The isometric game which impresses me the most though is definitely Solstice on NES. I watched a video of it just now, it looks good. I do actually have the sequel on SNES but I got stuck pretty quickly and gave up! I should try again. The guy who wrote Equinox follows me on Twitter. He's my most famous follower He only follows me beacuse I followed him but hey.... He also wrote Plok! which is also pretty good but not isometric. @Ctulhu - I've heard Landstalker is good and I wanted to buy The Immortal when I had an Amiga. I remember reviewers getting excited over the number of gruesome ways you could die in it. Vas wrote:- I am going out of a limb here and saying Rugby World Cup 1995 best Isometric game. I needed someone to come up with some good PC isometric games and you've pulled through. I'm a big fan of the original C & C so Tiberian Sun really appeals especially. Have you ever played Diablo? I've always wanted to try that. Hey Riko! Interestingly EA decided a few years ago to give away Tiberian Sun for free on the official website, probably because they didn't want to make profit of it anymore. The old official download link is down, but it can still be downloaded over websites that mirrored the original file back then, see here at Game Engine for more info. Tiberian Sun still works on modern systems (I tested it with Windows 7) and with a bit of twerking around with the config files it even supports widescreen resolutions like 1920x1080. If you enjoyed Tiberium Dawn / the first C&C, you will definitely love TS. It's not only a better designed game, it also seamlessly continues the story about Kane and the Tiberium crisis. Even James Earl Jones and Michael Biehn got important live action roles during the cutscenes. As for Diablo, I especially played the second one which I enjoyed very much as well. It's a great improvement over the already good predecessor and the immense hype about the series is quite frankly justified. It only annoys me that Blizzard milks the franchise (even the older games) to the maximum and to the point of impudence. Otherwise I recommend it! Forgot Snake Rattle N Roll for the NES...amazing game! Dark Savior is another great game by Climax. Those who liked Landstalker should look this up. One of the most interesting features is that you play one of five scenarios, depending on how well you do in the first part of the game. The main story and the world is always the same but the scenarios differs heavily from each other in some ways, like who's the real bad guys etc. Very interesting story which isn't all that jrpg-cute (well, you're still like 17 years old and has to save the world from evil) and great replay value thanks to the different scenarios. It's worth the time to play them all. It's pretty short, maybe 25 hours to clear all scenarios. I have Dark Savior lying around somewhere...haven't played it yet, but I will when I get around to fixing up the attic. This must be one of the oldest isometric shooters if not the first one? I haven't played the arcade original myself, so I don't know if it's still good, but I've tried the SG-1000 port and it was fun for a while at least. Murikov wrote :- If you enjoyed Tiberium Dawn / the first C&C, you will definitely love TS. It's not only a better designed game, it also seamlessly continues the story about Kane and the Tiberium crisis. Even James Earl Jones and Michael Biehn got important live action roles during the cutscenes. I liked the live action bits in the original C + C. They were quite funny. I will definitely try Tiberian Sun. Actually I did get the C&C that came out on 360 much later but I literally have never got round to playing it. I should dig that out too. Henke wrote:- What about Zaxxon? Isolated Warrior, known in Japan as Max Warrior: Wakusei Kaigenrei. Viewpoint, Snake, Rattle n' Roll and the R.C./Champion Pro-Am series. I've never played Solstice or Equinox unfortunately. You guys have forgotten entirely the C&C Red Alert series! Especially Red Alert and Red Alert 2 with their expansions! You guys must learn to behave yourselves! 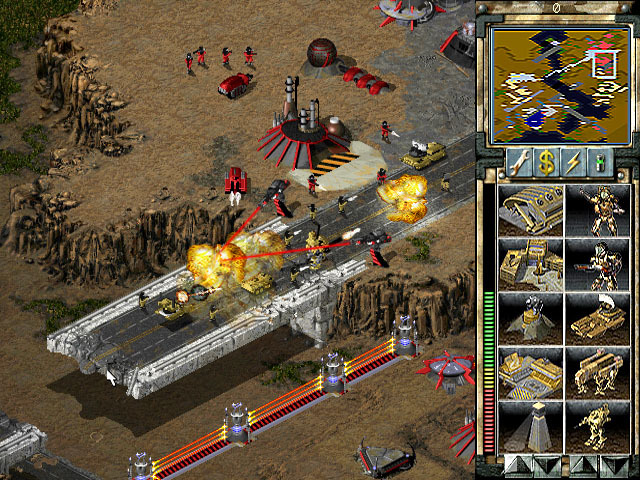 Command &Conquer Generals & Zero Hour. Then we have Warcraft 2 & 3, Starcraft 1&2. Warhammer 40.000 Dawn of War with so many tribes and Expansions! Another honorable RTS series I'd like to mention is the Sudden Strike trilogy. Especially the second one with all its mods, custom maps and add-ons sticks out most. Incredible atmosphere, authentic sound, lots of units and interesting unit-management with limited ammo, morale or radius of view... I enjoyed this much more than the Blitzkrieg series! Viewpoint is a pretty game but way difficult. 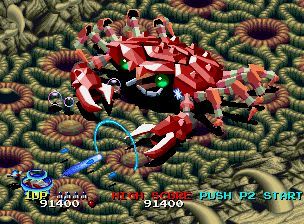 I had it on the AES and with 4 credits I could just go until there crab boss. 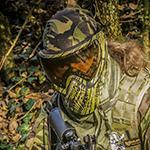 Have you heard Act of War direct action? I do have a sealed copy of Yuri's Revenge and also I have almost all of C&C games in original physical form without any scratches on the disks.